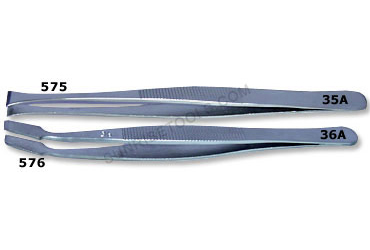 Description :-These tweezers are made of stainless steel and 100% anti-magnetic. 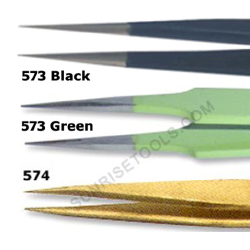 Great for jewelers, beading, inspecting and assembling small parts. 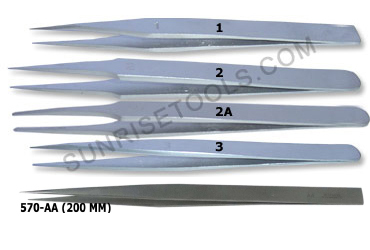 Essential tool for jewelers. 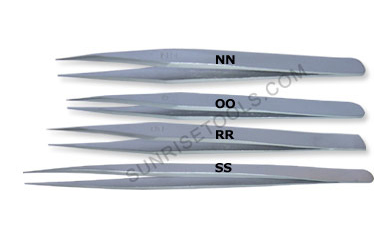 Description :-This set of stainless steel anti-magnetic tweezers offers the user complete variety for any job like beading, gemology, jewelry making, hobbyist and assembling small parts. They are lightweight and are comfortable to hold while using them. 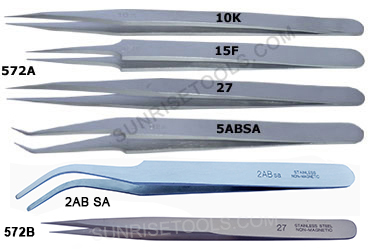 Description :-These lightweight and durable tweezers are Ideal for for gemology, jewelry making, and hobbyist and watch repair. 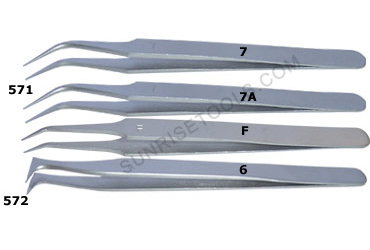 These are lanti-magnetic and straight tipped tweezers. 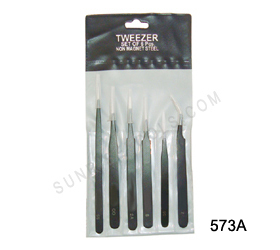 Description :-These popular stainless steel Antimagnetic tweezers are great for a variety of uses including gemology, jewelry making and watch repair. They are lightweight and are comfortable to hold while using them. 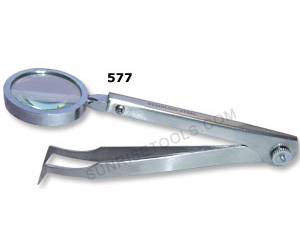 Description :-3x magnifying glass is mounted on stainless steel, anti-magnetic, straight tip tweezer. 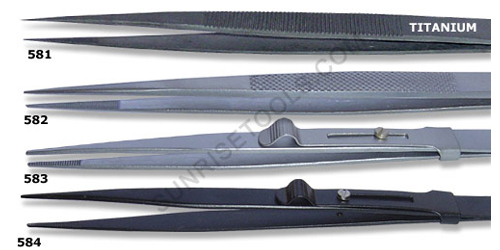 Excellent for working on small parts that require magnification. 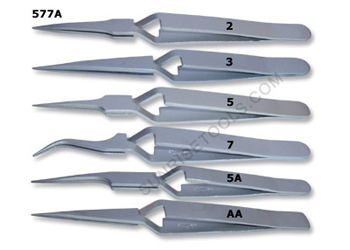 Description :-These all purpose utility type Anti Magnetic tweezers are made of Stainless Steel and used by Model Makers, Hobbyists, professionalJewelers, Electronic applications, Watchmakers and in Craft work. 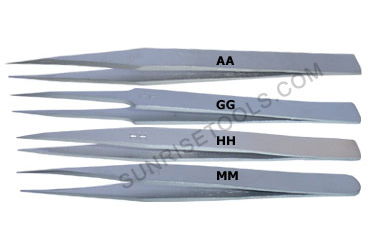 This strong cross locking tweezer holds your work securely. 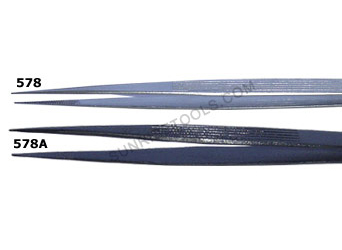 Description :-These tweezers with fine tips are designed for handling diamonds and other gemstones but also excellent for servicing and repair of jewelry, electronic components or hobby items. It features serrated tips and non slip grip. 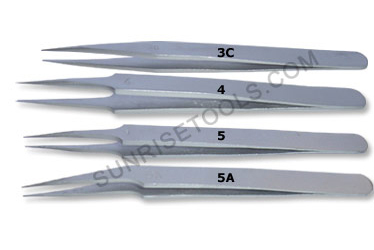 Description :-These are highest quality tweezers with finely seperated jaws that grip and hold even the most delicate objects. Also they have textured section on the body for better finger grip. 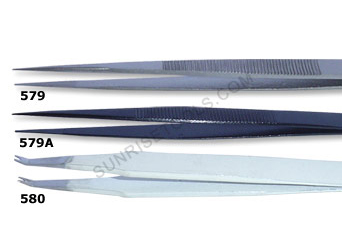 Description :-These high quality tweezers are great for picking up diamonds and small gemstones. Use when making jewelry, designing jewelry, watch repair & jewelry repair.